You’re going to the slammer. The hoosegow. The pokey. Or, that’s what scammers want you to believe. 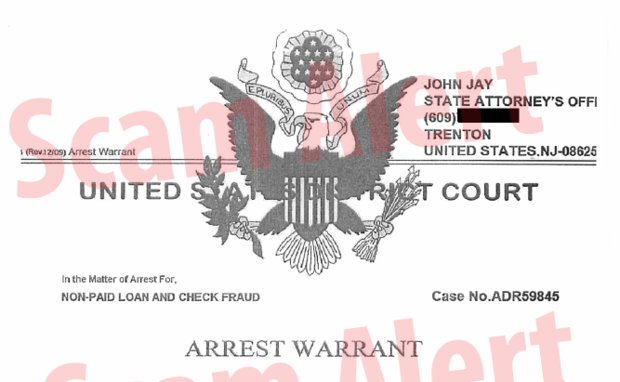 In a new take on an old scam, con artists have been impersonating officials from the state Attorney General’s office, mailing phony “arrest warrants” in a ploy to steal money from unsuspecting victims. In this scheme, which will be announced later today by the Attorney General’s office, swindlers use the mail to send an official-looking notice. But of course, there’s a way out. Cash. Moolah. Simoleons. Or smackers or cabbage or clams. Take your pick. Would-be victims are told they can call a phone number with a 609 area code to arrange payment of an outstanding balance of $1,876.48. The Division of Consumer Affairs said the phone number is answered by perpetrators of the scam. “This attempt to defraud people by appropriating the identity of our office is criminal, unconscionable, and deeply offensive,” acting Attorney General John Hoffman said. You can read the entire scam letter here. This scam takes to another level one reported last month, when the state warned consumers of a similar fraud. Imposters, via telephone, falsely claimed to represent the Attorney General’s office and told unsuspecting victims to immediately pay a non-existent debt. Ironically, the recent letters include a page of details about the Fair Debt Collection Practices Act (FDCPA). If you receive any kind of threat that’s supposedly from a government agency, whether online, by phone or by snail mail, get your guard up. Never send money or offer your personal information to anyone on the phone or through the mail, and don’t click on any links or attachments unless you’re sure of the sender’s identity. 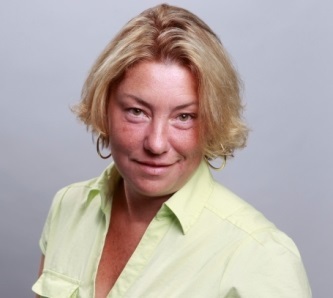 “Our message to New Jerseyans is very simple: Any time you receive a letter, email, or phone call that demands your money in the name of a government agency, do not engage with the person who contacted you,” Hoffman said. Instead, he recommends you independently verify the contact information by looking online or in the phone book to find a legitimate phone number for the agency that supposedly reached out to you. Next, call the agency directly to ask if the communication you received was valid. Scammers will use scare tactics to try to push you to move fast, whether it’s regarding an arrest threat or a high-powered but false sales pitch. Consumer Affairs said if the communication says “you must act right away,” take a step back and don’t rush into anything. And if the communication tells you to stay quiet or not share the news with anyone, be even more suspicious. “These criminals know that know consumers are much more likely to become victims if their emotions are higher – and if they are prevented from discussing the scam with a friend or relative,” the state said. Rather than become a victim, arm yourself and your loved ones with information about these and other scams. Check in with Consumer Affairs to see its public events calendar so you can learn more about its “Fighting Fraud” initiative to educate seniors and other New Jerseyans about scams. You can read more about protecting yourself from fraud with the division’s FedUp Handbook, and you can educate yourself about identity theft and online crimes with the Cyber Safe NJ initiative. If you receive a communication like this scam letter, or if you suspect any kind of scam, file a complaint with Consumer Affairs online or call 1-800-242-5846 (toll-free in New Jersey) or 973-504-6200.